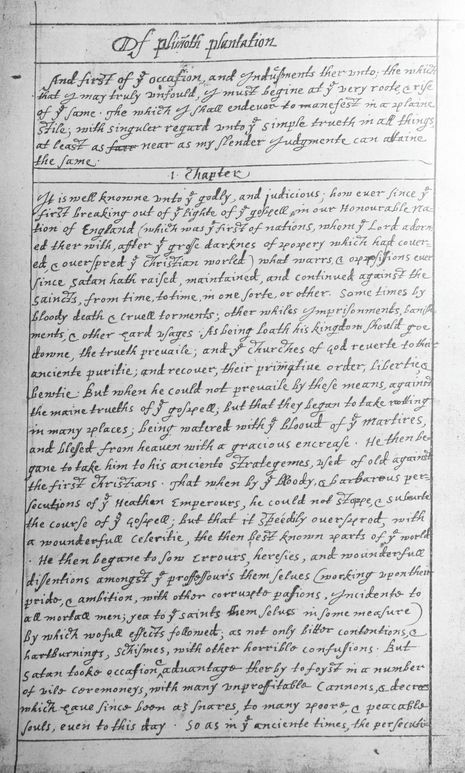 The autumn celebration in late 1621 that has become known as "The First Thanksgiving" was not known as such to the Pilgrims. 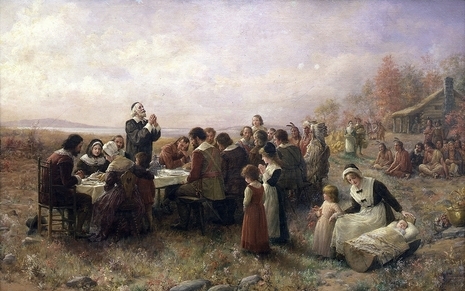 The Pilgrims did recognize a celebration known as a "Thanksgiving", which was a solemn ceremony of praise and thanks to God for a congregation's good fortune. The first such Thanksgiving as the Pilgrims would have called it did not occur until 1623, in response to the good news of the arrival of additional colonists and supplies. That event probably occurred in July and consisted of a full day of prayer and worship and probably very little revelry. The event now commemorated by the United States at the end of November each year is more properly termed a "harvest festival". The festival was probably held in early October 1621 and was celebrated by the 53 surviving Pilgrims, along with Massasoit and 90 of his men. 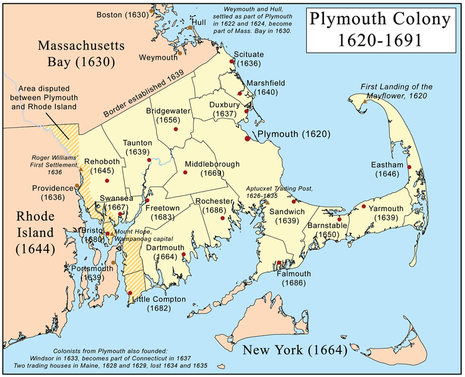 Three contemporary accounts of the event survive: Of Plymouth Plantation by William Bradford; Mourt's Relation probably written by Edward Winslow; and New England's Memorial penned by Plymouth Colony Secretary – and Bradford's nephew – Capt. Nathaniel Morton. 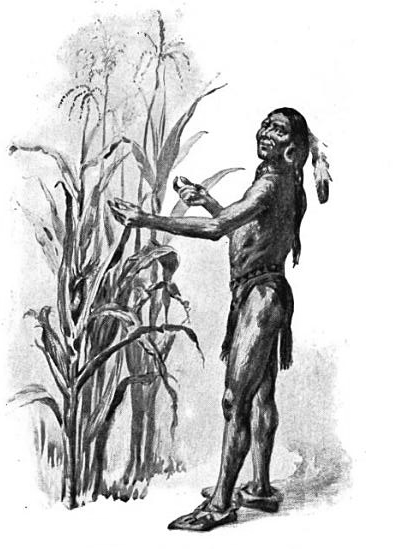 The celebration lasted three days and featured a feast that included numerous types of waterfowl, wild turkeys and fish procured by the colonists, and five deer brought by the Native Americans.